When conducting labour market research in areas where occupations are defined by a 4 digit NOC (National Occupational Classification) code, the first digit of the code for all Natural and Applied Science occupations is 2. Is a career in Natural and Applied Sciences a good fit for me? A career in Natural and Applied Sciences will appeal for those interested in thinking critically, methodologically and analytically. These careers usually require additional schooling and higher levels of education. They are thus paid more for their services. People employed in this field experience positions in laboratory environments, health settings, field environments, office environments and educational settings. The vast array of positions that can be associated with this industry make specific traits hard to nail down. However, usually, people employed in this industry need to be inquisitive and questioning, they need to have a strong attention to detail, and they need to be able to interpret data in various forms, understand diagrams and charts, be observant and take risks. There are a range of natural and applied sciences occupations and therefore a variety of paths to follow to reach the career of your choice. Entry-level natural and applied sciences occupations typically require some post-secondary training and often require job-specific licensing/additional training. Make sure you research your specific occupation ahead of time so that you know you will meet these requirements. Training options for natural and applied science professions include private training school, college, and university. See the lists below for a better idea of which post-secondary destination is right for you. There are nearly 50 registered private training schools in New Brunswick, 15 of which offer training for careers in natural and applied science professions. Universities in New Brunswick offer a range of degrees focused on natural and applied science. 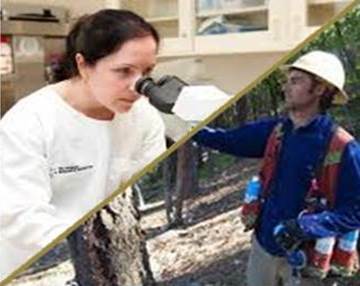 Professionals often begin with an undergraduate program in science, applied science, mathematics, kinesiology, engineering followed by a number of years of classroom and technical training, cooperative education placements in their field of study, as well as graduate-level programs where applicable. Progression to management positions is possible with experience. Effective Communication – Being able to communicate research findings orally and in written format is often essential for grants and funding to remain with varying departments of government and in the private sector. Thus effective communication (written and oral) was the most sought after skill in the natural and applied sciences industry. Thinking skills – Ability to troubleshoot, make executive decisions, process information, problem solve, organize and prioritize work were also essential skills in the natural and applied sciences industry. Working well as part of a team – Teamwork and collaboration were essential to the successful operation of many organizations in the natural and applied sciences industry. Many scientists and associated professionals are required to work with others in a team environment, individually but reporting back to a team and in multi-disciplinary environments where varying perspectives may be required in order to complete/explore a task at hand. Interest in continuous learning – Employers requested that applicants must be willing to take additional training as required in varying fields to maintain a standard of excellence, perpetuate and sustain growth and industry expansion. Critical thinking and analytical skills – Employees in the natural and applied sciences industry should be able to design, execute, analyze and interpret varying tests, experiments and research. To secure a position in Natural and Applied Sciences you will need to highlight the skills that employers are looking for from their employees. The previous section on skills will help you recognize the most sought after skills. If there are areas you feel you need to work on, it would be a good idea to practice. Tell us about your basic technical experience and qualifications. How do you remain abreast of new developments in your field? How much do you know about the software you are required to use? Please describe a situation when your initiative ideas for improvement have made a significant difference. Inquisitive, enjoy research and finding solutions?